For this listener, traversing contemporary music concerts in the 1980s there appeared a trend to modify the traditional look of classical performers. The first striking example I can recall is the venerable Kronos Quartet performing all in tight black leather outfits. And there are performers who have an intentionally different look such as violinist Nigel Kennedy or Kathleen Supove whose look is decidedly unconventional. Focusing on attire could conceivably detract from a musical performance but the previously mentioned performers have in common with the performer on this disc both virtuosity and a distinctly different look which seems integral to their performance delivering decidedly unconventional music. The photography by Corrie Schneider creates a striking and evocative cover image giving her a sort of superhero ambiance. Why not? Rebekah Heller, of course, is also one of the members of the wonderful ICE Ensemble, one of the finest working chamber groups focusing on contemporary music. ICE has in common with groups like Bang on a Can, Alarm Will Sound, ACME, and others the fact that they are populated by some of the finest young musicians who seem to be able to meet any challenge…er, commission thrown at them. In addition many of the musicians in these groups are also interesting composers. The others have a profound interest in new music that match their skills and passions oh so well. In Metafagote Rebekah Heller presents 4 works on 4 tracks. Rand Steiger (1957- ) is a graduate of the Manhattan School of Music and Cal Arts. Steiger has been at UC San Diego since He is a 2015 Guggenheim Award recipient and though his discography is adequate this writer sees his name, hears his music too infrequently. Steiger’s work opens this disc with Concatenation (2012) for bassoon and live electronics. Steiger is skilled in writing for both conventional instruments and for high tech electronics including spatialization, live processing. Steiger’s work is assertive, pretty much freely atonal, and packs a punch emotionally if memory serves. There was a vinyl record (this composer is younger than me by one year and I’m guessing still hoards at least a selection of LPs. The work was Hexadecathlon: “A New Slain Knight” (1984), basically a horn concerto for horn with chamber ensemble. It burns in my brain still, wonderful 6 minute cadenza at the end too. Back to Concatenation, it is a sort of all consuming experience, a sound bath if you will. The timbres achieved with the combination of bassoon with electronics creates some grand, almost orchestral textures. The second work is by one Jason Eckhardt (1971- ), a name vaguely familiar but his work is new to me, Eckhardt earned a B.A. from Berklee in 1992 followed by an M.A. (1994) and a D.M.A. (1998). He has studied with James Dillon, Jonathan Kramer, Milton Babbitt, Brian Ferneyhough, and Karlheinz Stockhausen. That provenance gives one an idea of what to expect…complexity. And he dishes that out for solo bassoon. Heller is up to the challenge in this piece, “Wild Ginger” (2014) from a series of pieces based on native plants in the Catskills. Again, why not? The third track contains, “Following” (2014) for solo bassoon from a composer whose inspiration also sometimes comes from plants. Dai Fujikura (1977- ) is a prolific Japanese composer who also comes from a legacy of complexity having studied with the likes of Boulez, Taketmitsu, and Ligeti. 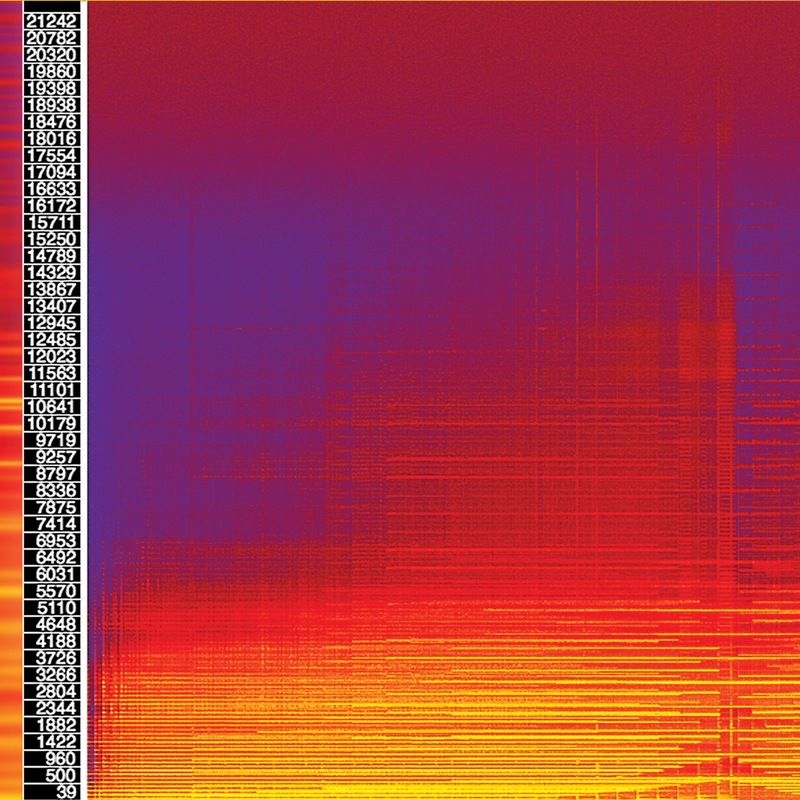 Fujikura’s music may be complex but his music tends to have a softer edge, more like Takemitsu than Boulez. Again Heller demonstrates her technical skills that rise to meet the challenges posed here. Last but not least is a piece as large and encompassing as the Steiger. Felipe Lara (1979- ) is an accomplished Brazilian composer. He is represented here by, “Metafagote” (2015), the most recent of the compositions here. It is scored for bassoon and 6 pre-recorded tracks. One is naturally put in the mind of Steve Reich’s counterpoint series for soloist playing against multiple pre-recorded similar instruments. The piece also can, and has been, performed by a soloist with 6 other bassoonists. While the Reich notion is not the worst place to start, this piece is anything but minimalist. Rather it is distinctively modernist. It is a virtuosic exploration of some fascinating possibilities of the lowly bassoon. Lara owes more to free jazz at times in this epic, almost a concerto, piece. I don’t know how many bassoon fanciers are out there but if you like new and experimental music of a virtuosic nature this is a great bet. Had to save this one for Christmas. If ever there was an album that conjures more of the positive intents of the Christmas season this one gets my vote. Imagine celebrating a living acknowledged master artist in a milieu of his actual and artistically extended family. That may seem an extreme notion to some but this writer is utterly charmed and thrilled to hear this “one of a kind” collection. Other interpretations will, of course, be valid but none will ever match this one. It’s like the Carter family of the avant-garde (and I mean that unambiguously with great respect). Any release by Bay Area pianist Sarah Cahill is reason enough alone to perk up one’s ears but this massive four disc collection of all new recordings in honor of Terry Riley’s 80th birthday (Terry was born in 1935) is a major release of (almost) all of Riley’s music for piano, piano four hands and two pianos. In addition two of the discs are dedicated to pieces commissioned in honor of Riley. This set belongs in the collection of anyone interested in mid to late twentieth century music and especially fans of minimalism and the curiously west coast iterations of modernism. As a listener I have always treated every Terry Riley release as a major event as well and this collection does about as fine a job as one can imagine in paying homage to one of the brightest artistic lights of the Bay Area. Riley came to prominence (at least historically speaking) with his open score piece, In C (1964). It is among the earliest examples of the style which, for better or worse, became known as “minimalism”. Since then he has continued to produce music in pretty much all genres, chamber music, orchestral music, solo music, concerti, etc. Riley’s style, however, continued to evolve and his later works show diverse influences from his days playing barrel house piano, his interest in progressive jazz, and his studies of Hindustani and Carnatic musics (under the tutelage of Pandit Pran Nath). Like pretty much every composer of that first wave of “minimalists” Riley has evolved a much deeper and individualized style but, even with the diversity of influences as mentioned, he remains uniquely Terry Riley. Throughout his career as composer and performer Terry has been a teacher and an advocate of new music. His enthusiasm and talent has affected all who know him and, I dare say, all who have experienced his work. This collection ranges over his entire career from the early “Two Pieces” (1958/9) to later solo and four hand compositions on the first two discs. It is worth noting that Be Kind to One Another (2008/14) was one of the commissions in Sarah Cahill’s wonderful series of anti-war pieces, “A Sweeter Music”. It then goes on to the homages which, of course, can also be said to be influenced by Riley’s work. This is not simply a collection of Riley’s piano music. What we have here is a lively celebration of most of Riley’s music for piano, two pianos and piano four hands from the full spectrum of his career (as the liner notes say a couple of large compositions were not included, most likely a matter of space) along with a touching set of homages by composers related musically and aesthetically to Mr. Riley. They range from contemporaries to students, artistic descendants to actual family. It is a multi-generational tribute and a loving artifact that celebrates this artist on a very personal level. Regina Myers supplies the other two hands in the disc of four hand piano pieces by Riley. She credits another Bay Area composer/teacher/conductor, the Mills College based Steed Cowart for recommending her for this crucial role. Such touches add to the sense of this being a Bay Area family project on so many levels. The interrelationships that comprise this lovely production make it stand distinctly apart from the (no less significant or lovely) homages to fellow minimalists Philip Glass and Steve Reich. This is a much more personal album which reflects Riley as composer, teacher, inspiration, father, icon and friend. Anyone who has met Terry or experienced him in performance has experienced a certain warmth like that of a wise and gentle guru. After the two discs of Riley’s music we are treated to music inspired by another generation of artists and, last, by long time colleague, the late great Pauline Oliveros (1932-2016), another wise and gentle guru who died just about a year before the release of this album. She and Terry worked together (along with Morton Subotnick, Ramon Sender, Steve Reich, William Maginnis, and Tony Martin) as founders of the San Francisco Tape Music Center which would become the Mills College Center for Contemporary Music (still operating today). The producers wisely dedicated an entire disc to one of Oliveros’ last compositions, this loving tribute to her friend and colleague. It is now, sadly, a tribute to her memory as well. Samuel Adams shares the performing duties along with Ms. Cahill on this extended homage. There is little doubt that the other composers whose music graces this tribute will continue on their unique paths to continued success always acknowledging their connections to Mr. Riley. Danny Clay is among the less familiar (to this reviewer) names here but his Circle Songs seem to fit quite well to open the first tribute disc. Gyan Riley is, of course, one of Terry’s children and a fine guitarist and composer in his own right. Anyone who has had the pleasure of seeing Gyan and Terry play together cannot miss the close bond personally and musically of these two. They are a joy to behold. The affectionate Poppy Infinite is a reference to the elder Riley’s Poppy Nogood’s Phantom Band which was the “B side” of his classic Rainbow in Curved Air. Samuel Adams is the son of Pulitzer Prize winner John Adams whose early work China Gates was written for and championed by his fellow classmate at the San Francisco Conservatory, Sarah Cahill. The younger Adams’ contribution here is called Shade Studies. The eclectic Christine Southworth also seems to embody the (perhaps loosely defined) West Coast style. Her interests in electronics and world music describe this superficially but her sound is a welcome one here as well. Keeril Makan earned his PhD. in music at Berkeley which doubtless has left a stamp on his style. His composition “Before C” makes reference to what is doubtless Terry Riley’s best known work, the oft performed, “In C”. Elena Ruehr is a composer whose connection is not as clear as some of the others here but her work, “In C too” demonstrates her understanding of and her respect for Riley’s work. Last on this disc of tributes is Dylan Mattingly. He is a Berkeley native and can frequently be seen/heard performing in various venues in the Bay Area. His contribution YEAR demonstrates both his individual style and his connection to the West Coast Style mentioned earlier. The liner notes by Sarah Cahill are part of the tribute and a good description of the various influences behind the man of the hour, Terry Riley. Credit is properly given to the artistic influences that inspired Mr. Riley and a brief description of what must have been an intimidating but loving project. It is likely that there are even more connections involved in this undertaking but that must be left to future musicological and historical research. The Kronos Quartet has long ago championed Riley’s work for that medium and new versions of his classic, “In C” continue to come on the scene. One can only hope that the energy embodied here will inspire recordings of some of Riley’s lesser known work with orchestra which richly deserves hearings. But regardless there is much to celebrate here and best holiday wishes go out to Mr. Riley and his talented progeny. Happy listening, all. Multiple similars seems to be a meme in contemporary music. The notion of using an ensemble of the same or similar instruments is most frequently encountered in teaching situations where music departments have enough students to form trombone ensembles, cello ensembles, etc. But such combinations had been far less common in the concert hall until fairly recently. Henry Brant was certainly an outlier when he wrote his Concerto for Flute and Flute Orchestra (1931) but the notion of a large ensemble of similar instruments developed further in the 20th century. Brazilian composer Heitor Villa-Lobos in his Bachianas Brasilieras Nos. 1 (1930) and 5 (1938) used a cello octet. It wasn’t until much later in the 20th century that one would encounter Steve Reich’s Counterpoint works beginning with Vermont Counterpoint (1982) for flute solo and multi-tracked flutes, New York Counterpoint (1985) for solo clarinet and multi-tracked clarinets, Electric Counterpoint (1987) for guitar and multi-tracked guitars, and Cello Counterpoint (2003). Mary Jane Leach, an American composer based in New York also writes for multiples in such works as 4BC (1984) for 4 bass clarinets, Tricky Pan (1999) for solo countertenor and 8 countertenors on tape, Bach’s Set (2007) for solo cello and 8 celli on tape, and Dowland’s Tears (2011) for 10 flutes. The present disc is another incarnation of the ensemble of similars which is as different in sound as each of the above described sets of music for similar instruments. Here we have an ensemble of flutes with music written by Elainie Lillios, Cornelius Boots, and Mike Sempert. Areon Flutes consists of Jill Heinke Moen, Kassey Plaha, and Sasha Launer. This performing, teaching, commissioning ensemble has been in existence since 2004 and is based in the San Francisco Bay Area. According to their website: Since 2004, Areon Flutes’ mission has been to make flute chamber music an equal voice in the chamber music world. This is their third album and their first for Innova Records. This is a 2016 release so I must acknowledge a bit of a delay in getting this review out but I blame the beauty and complexity of both their mission and the works here represented for a part of that delay. There are three compositions: Elainie Lillios’ two movement Summer Sketches, Cornelius Boots’ three movement Cthonic Suite, and Mike Sempert’s Uncanny Valley. This is a stunning disc which redefines the ensemble of similars and helps to carve out a lasting place for the flute ensemble in the classical world. But even terms like “classical world” might be limiting as a way to describe this album. It is innovative but not really experimental. It is beautiful without being simple and it is virtuosic without being pure and empty showmanship. This is a substantial set of challenging works played with virtuosity and interpretive skill that will leave the listener stunned and unable to write a review (oops, sorry about the excuses again). But seriously this is entertaining and substantial music making by a wonderful ensemble that serious listeners will want to keep on their radar. Steve Reich’s masterful Electric Counterpoint (1987) opens this disc. That work originally written for Pat Metheny and has become pretty much a classic as well as a fine way to demonstrate a musician’s facility with multi-tracked guitar music. Trevor Babb is a doctoral student at Yale and this appears to be his first album. And what an album it is. The choice of the opening work serves to demonstrate Babb’s ability to interpret, in his own individual manner, a work that has been recorded many times. It remains a classic and very listenable work which belies the difficulties inherent in its performance. Babb seems to take a bit more of a legato approach than previous interpretations but is definitely highly effective and this is a wonderful recording of the work. It also serves to set the tone for the rest of this truly fine solo guitar and electronics debut album. Electric Counterpoint is the first of 6 total works represented on this disc. The remaining five selections fit the rubric of this collection in the overall sense but are definitely unique and challenging in their ways. Paul Kerekes is not a familiar name to this writer and perhaps a new name to many. His inclusion here introduces many to this composer and places him in the context of this interesting collection. This young composer is apparently well known in the New York scene and seems to travel in the circles that include some of the most interesting artists currently working. Trail is a very different piece than the Reich but demonstrates the range of the solo guitar and electronics genre. This is a gentler, more meditative piece overall and one which piques interest in hearing more. David Lang is a well known and very welcome name in new music and is here represented by Warmth, a classic Langian post-minimalist work which delights the listener while challenging the performer. Septet by the late great James Tenney is one of those masterful compositions that is respected as a masterpiece but not often programmed. This is due at least in part to it’s critical use of alternate tuning. The effects intended by the composer can only be heard if the performer can play accurately the tuning involved. It is a wonderful and listener friendly experience typical of the finest of Tenney’s grasp of how to use such tunings in the compositional process. Babb executes this piece lovingly and this performance will likely help to nudge this work to a more frequent experience in the concert hall. Babb introduces himself as a composer in Grimace, an impressionistic exercise in which he attempts to imitate both the style of Ligeti and evoke the image of a mask seen in an art exhibit. Long tones and extended techniques predominate in this meditative drone-like work that demonstrates fine technique in both composition and instrumental facility. The album concludes with Slope 2 by the emerging bass player and composer Carl Testa. Again Babb introduces a new voice for the listener to explore. This extended composition, more drone than pattern based, is one that deserves multiple hearings to discern its substance and to demonstrate its position in the larger rubric of this collection. Babb produces a great debut here and makes a strong case for the genre of electric guitar with supporting electronics as being a viable format for a live concert. He also seems to be defining that genre much the way that many solo artists are doing these days. He seems to be constructing a repertoire establishing the classics (Reich, Tenney) and promoting the viability of works that he feels deserve a place in that repertoire. This is a really delightful album and that extends, at least in this writer’s eye, to the cover design as well. Again I will bemoan the loss of the 12 inch square format of LPs which could have made more prominent this lovely design by Colin Meyer and Trevor Babb. Perhaps a 12 inch vinyl release may happen. But until then the listener can settle most comfortably in the warmth of this truly fine release even in the smaller CD format or even as a digital download. This is an epic minimalist masterpiece that has the same sort of almost full orchestral impact that one hears in works like Reich’s ‘Music for 18 Musicians’, Riley’s ‘InC’, and perhaps Glass’ ‘Music with Changing Parts’ or ‘Music in 12 Parts’. The point is that it is entrancing and engaging music that deserves to be heard. 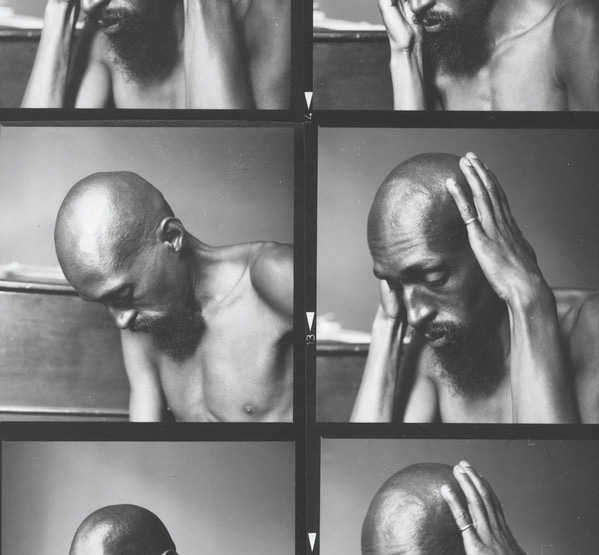 Julius Eastman (1940-1990) was an American singer, performer and composer whose work was little known until after his untimely death. It was the efforts of composer Mary Jane Leach who performed a labor of love essentially saving Eastman’s work from obscurity when she called upon her fellow musicians and artists to help her gather all the extant recordings and scores many of which were lost after Eastman was evicted from his apartment not long before he died. Her Julius Eastman page is a valuable reference and her work has inspired further research and performances of Eastman’s music. Leach’s substantive initial efforts resulted in the release of the 3 CD set, Unjust Malaise which made available all of the then known serviceable recordings of this composer’s music. Since then this recording became available and it may be the finest that Eastman did. This is a live recording of a performance from 1974 which is quite lucid and listenable. It starts slowly but quickly finds its rhythm and pace and provides an uninterrupted 70 minutes of consonant, even romantic sounds. It’s relation to femininity or any gender issues is not clear, perhaps not even the point. This piece also seems to have had a companion (called masculine) which is sadly now lost. Anyone interested and entertained by the minimalist works already cited will find this work very inviting. Hopefully the release of this recording will encourage a revival of this work and it will be performed again soon. We as consumers are blessed to have this major work by this major composer available for listening and study. Eastman deserves recognition as a composer and this disc certainly is a strong support for that.